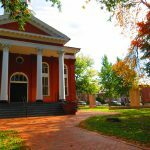 Loudoun County, VA, has been named one of America’s top digital counties by the Center for Digital Government and the National Association of Counties. The survey identifies best technology practices among counties nationwide. One of the fastest growing counties in the U.S., Loudoun County is committed to leveraging technology to improve service delivery, support high-priority initiatives and cut costs. For example, it uses Laserfiche enterprise content management (ECM) software in 30 different departments to automate business processes such as accounts payable, payroll, case management, property assessment appeals and records management, among others. Loudoun County has also integrated Laserfiche with multiple software applications, including an Oracle ERP system. The Laserfiche–Oracle integration led to savings of nearly a quarter million dollars within the first year of its rollout. “Center for Digital Government data clearly shows that application integration is a way for leading jurisdictions to reduce both their hard and soft costs while improving overall savings,” said Todd Sander, Director of the Center for Digital Government. Other Laserfiche users that were named top digital counties include: Albemarle County, CA; Cabarrus County, NC; Catawba County, NC; Charles County, MD; Chesterfield County, VA; Davidson County, NC; Durham County, NC; Fairfax County, VA; Gloucester County, VA; Hennepin County, MN; Jefferson Parish, LA; Leon County, FL; Mohave County, AZ; Nevada County, CA; Oneida County, NY; Roanoke County, VA; San Bernardino, CA; Skagit County, WA; Tammany Parish, LA; Tompkins County, NY; and Ventura County, CA.